samosa pav is one of the popular street food snack from mumbai. in samosa pav, samosas are stuffed in pav (bread rolls) along with green chutney, sweet tamarind chutney and dry garlic red chilli chutney. samosa pav recipe with stepwise pics. 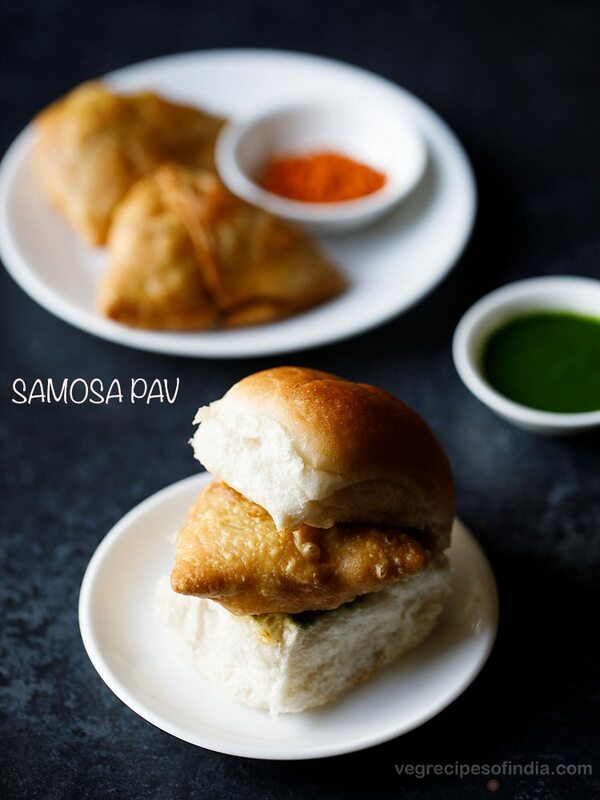 like vada pav, samosa pav is also one of the street food snack from mumbai. in samosa pav, samosas are stuffed in pav (bread rolls) along with green chutney, sweet tamarind chutney and dry garlic red chilli chutney. samosa pav is delicious as well as a filling snack. 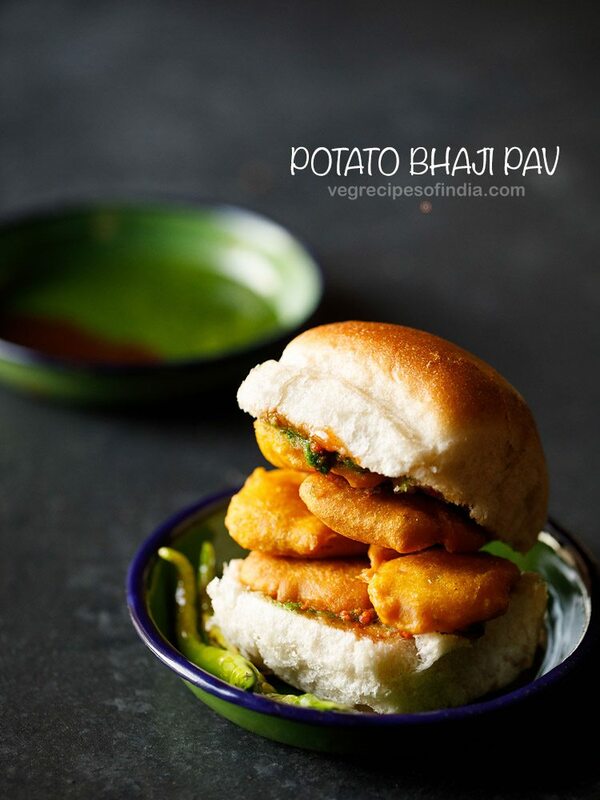 if you do not have pav, then you can also use burger buns or bread. also note that you can also use store brought samosa and pav. the green chutney can be made a day before. sweet tamarind chutney can be made a day before or can be brought from the store. 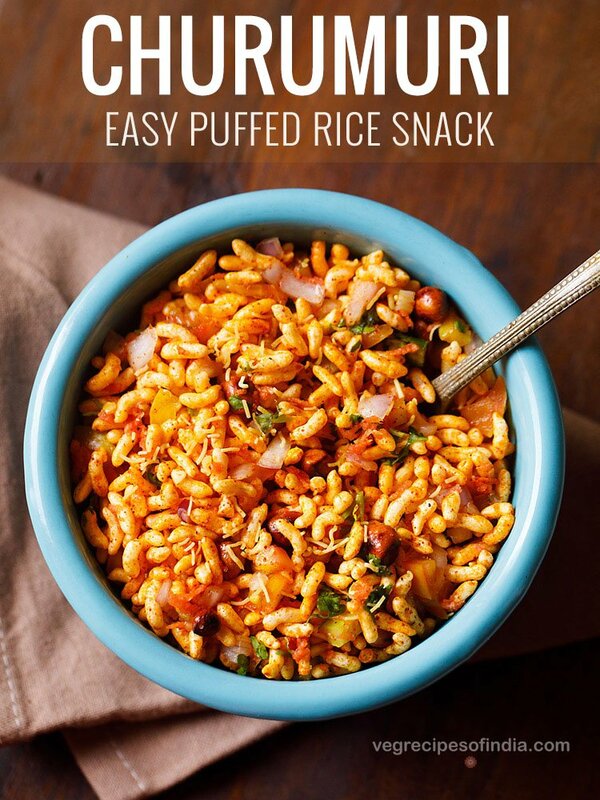 dry garlic chutney is optional and can be skipped. you can make dry garlic chutney at home or buy from outside. 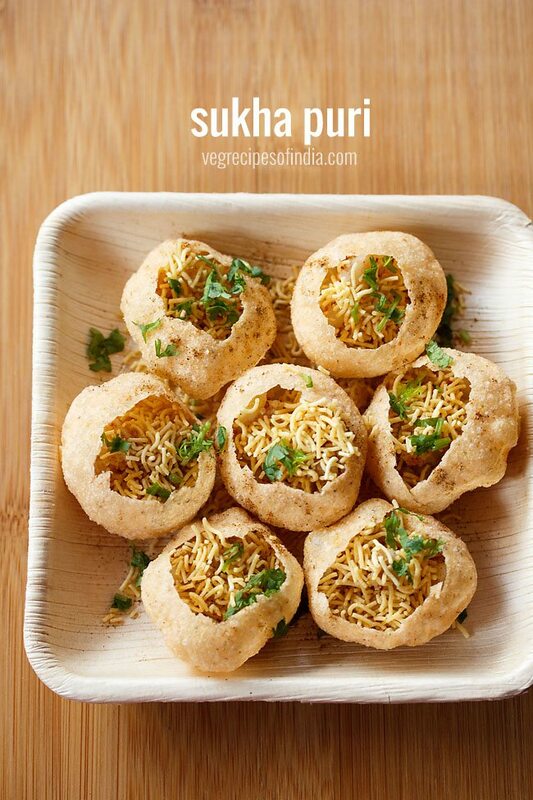 if you are looking for more street food recipes then do check chole bhature, pav sandwich, pani puri, bhel puri, samosa sandwich and ragda patties. firstly assemble all the ingredients – 4 pav, 4 medium to large samosa, 1 small bowl green chutney, 1 small bowl sweet tamarind chutney and 1 tablespoon dry garlic chutney. slice the pav in half without breaking it. spread some green chutney on both the sides as required. now spread some sweet tamarind chutney on both sides as required. sprinkle some garlic chutney on one side or both sides. slightly flatten the samosa and place it in the pav. close the pav. serve samosa pav as soon as you assemble them. if kept for a long time, then the pav becomes soggy due to the chutneys. 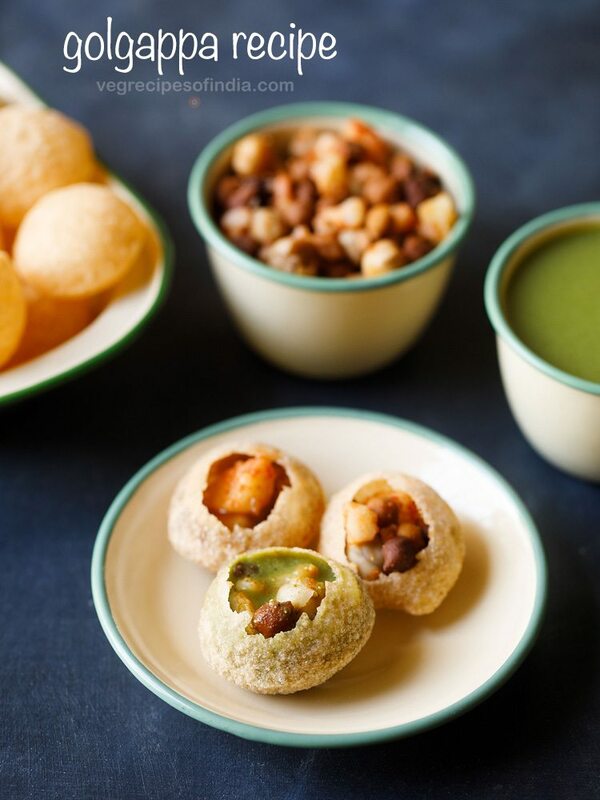 while serving you can serve with a few fried green chilies, green chutney or sweet tamarind chutney. 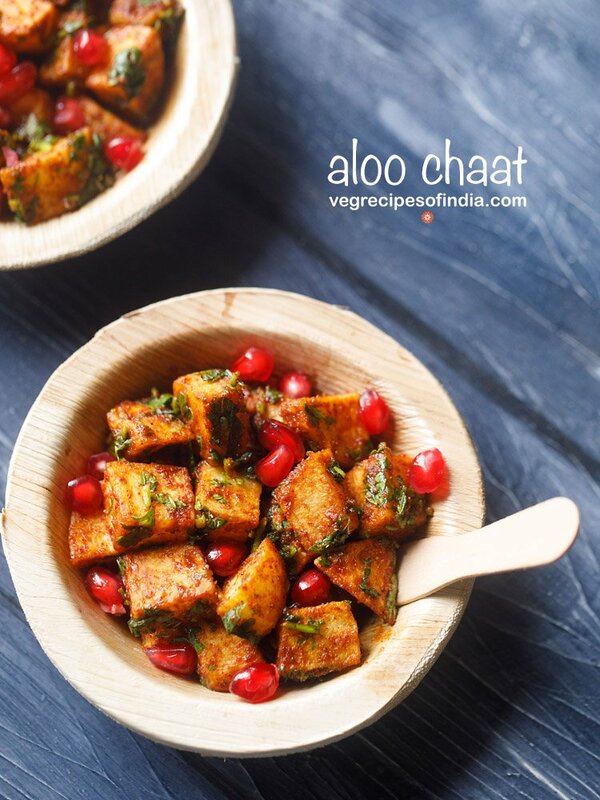 1. firstly assemble all the ingredients – 4 pav, 4 medium to large samosa, 1 small bowl green chutney, 1 small bowl sweet tamarind chutney and 1 tablespoon dry garlic chutney. 2. slice the pav in half without breaking it. 5. sprinkle some garlic chutney on one side or both sides. 6. slightly flatten the samosa and place it in the pav. samosa recipe on this link – punjabi samosa. you can also use baked samosa recipe which is on this link – baked aloo samosa. 7. close the pav. 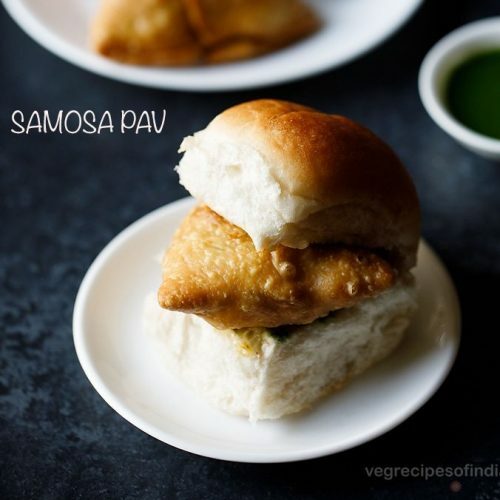 serve samosa pav as soon as you assemble them. if kept for a long time, then the pav becomes soggy due to the chutneys. 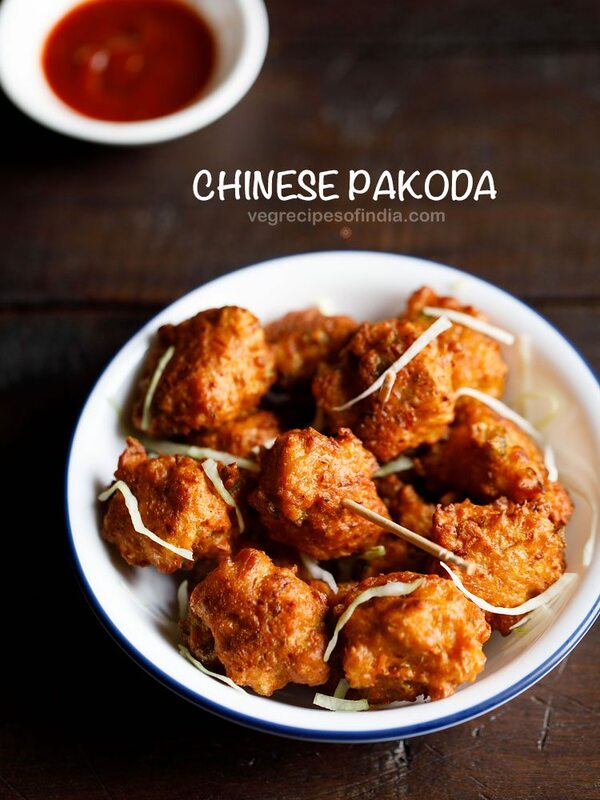 while serving you can serve with a few fried green chilies, green chutney or sweet tamarind chutney.